Ibo et Non Redibo: Who Are You? The fact is, it is not possible to answer this question using human language. Each person is wholly unique and lives a new, unrepeatable life. Who a person is―in this life, at least―is the sum total of his whole life and is therefore impossible to represent in speech. The closest that we might be able to come to communicating who someone is, is in a biography, which attempts to record someone’s whole life. But even Boswell’s Life of Johnson, though it makes a good start, is ultimately incomplete. 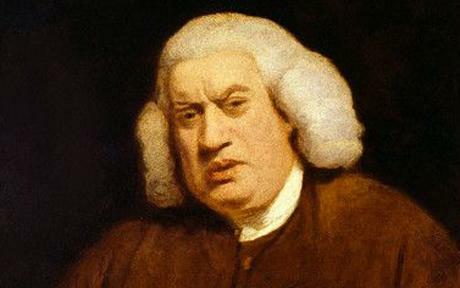 Johnson’s multitude of actions (mundane as some of them were), and especially his private thoughts, were simply not all accounted for, though all of them were part of who he was. The moment we want to say who somebody is, our very vocabulary leads us astray into saying what he is; we get entangled in a description of qualities he necessarily shares with others like him; we begin to describe a type or a ‘character’ in the old meaning of the word, with the result that his specific uniqueness escapes us. To say that someone is “friendly” or “clever” or “tall” is to describe him using qualities he shares with many other people. It does not adequately answer to his uniqueness. So, next time someone asks you “who you are”, do not blanch. Instead, offer instead to describe yourself a little or invite the person to ask you questions about yourself. But do not give short-shrift to your uniqueness. It cannot be explained in mere words. To make such an attempt is to fail to acknowledge the utter singularity God breathed into you. Only he, who dwells outside time, really knows who you are.